"On this rock I (Jesus Christ) will build my church, and the gates of Hades will not overcome it." Believing this promise, Tony, Marsha, and their newborn, Tasha moved to Shimonoseki, Japan on March 13, 1989 as the first PIONEERS missionaries to Japan. It soon became clear that God had something special that He was already doing in this city. In three months, the Haugs saw the first fruits of their ministry through the salvation of the first person in their neighborhood. Like a tidal wave, the Holy Spirit moved powerfully through them and each new believer. Within five years, the church grew to more than sixty members and experienced God's amazing provision of land and a brand new building. Today, the church averages about ninety in attendance as God still builds his church. During the year 2000, this body of believers caught God's vision to reach their entire city with the good news of Jesus Christ. They put an evangelistic tract/church pamphlet into the 100,000 homes of Shimonoseki. Since more than twenty new people have put their faith in Christ. These are not just professions of faith, but radical life-change commitments to follow Christ. They hunger for God's Word and are eager to obey God. One by one they are burning their idols, leaving unethical jobs, and identifying with Christ in the waters of baptism and in their everyday lives. God is seeking those to worship and honor his name all throughout this city and the world. 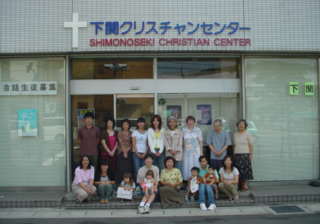 In 2003 God blessed Shimonoseki Christ Bible Church with a $2 million dollar building in the business-shopping district of their city--truly an amazing story. The growing ministry of this church needs your help. 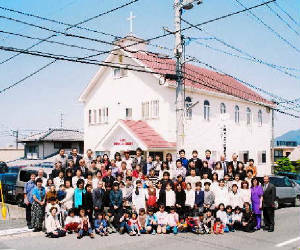 We are asking God for all the funds to pay for the remodeling of this new Shimonoseki Christian Center and to fill it with workers for His harvest. It is clear that God is building His church! Our team is partnering with God and His church in a work that will change the lives of thousands and eventually millions in the years to come. JOIN GOD and US on this important mission! Read on to learn more! 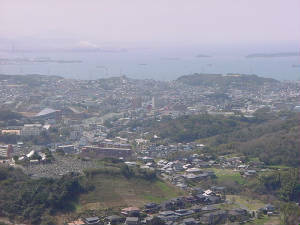 MISSION STATEMENT: The Shimonoseki-Japan team seeks to glorify God among the Japanese by cultivating a church-planting movement throughout Shimonoseki City in partnership with Shimonoseki Christ Bible Church.